We have a moveable wall in our program room. Usually we just use it to hang posters and the like but, for this program, I pushed it close to a wall to create a narrow tunnel of sorts. 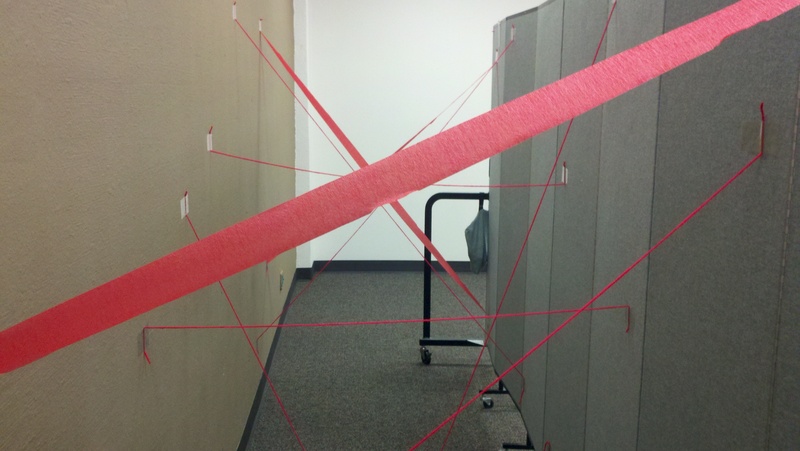 Then I taped a combination of red streamers and red yarn between the two walls to create a laser field. This station was incredibly popular with the kids! Many of them went through it then immediately ran to the back of the line to go through it again! There were a few incidences where a child bumped into one of the yarn pieces enough to make it fall down, but my coworker just told the kids to tape it back up and continue on. No harm done. 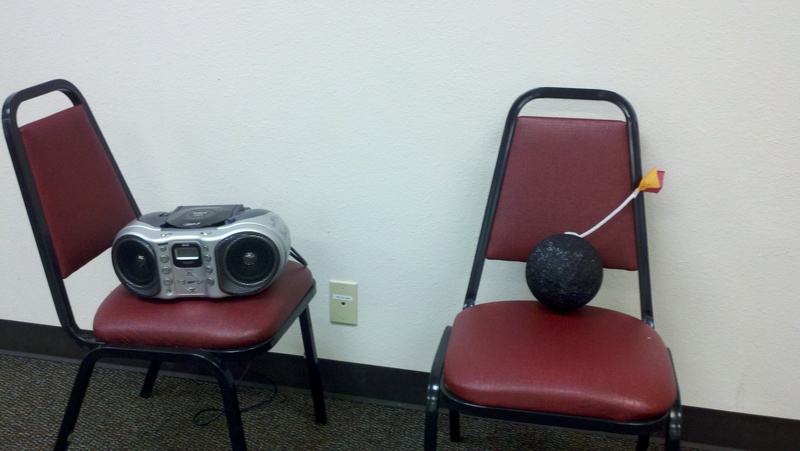 This station involved playing hot potato with a prop I made out of a Styrofoam ball that I painted black, a white pipe cleaner and flame-colored tissue paper. I downloaded the Pink Panther Theme from iTunes to use in the game. For the most part, the children were good sports when they ended up holding the bomb when the music stopped. However, there were quite a few incidences where two children where holding the bomb when the music stopped and we had to do a do over. At this station, the kids got to sample two different sodas, and they had to try to guess which sodas they were sampling. We decided to use soda for this station because we had a lot of Coke and Dr. Pepper left over from a program we did back in May. However, I think Kool-Aid would have been cool to use too. 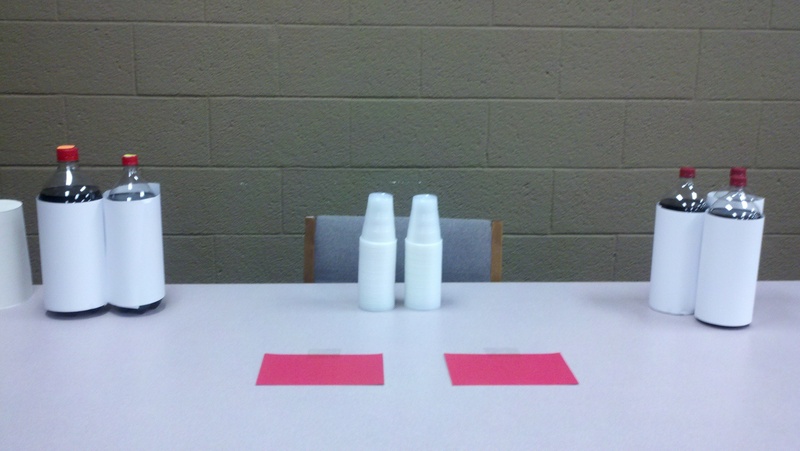 Once the kids made their guesses, we had them peek at the answers under the red paper on the table. Also, we learned that it’s best to remove the caps, cap rims and labels completely from the bottles. 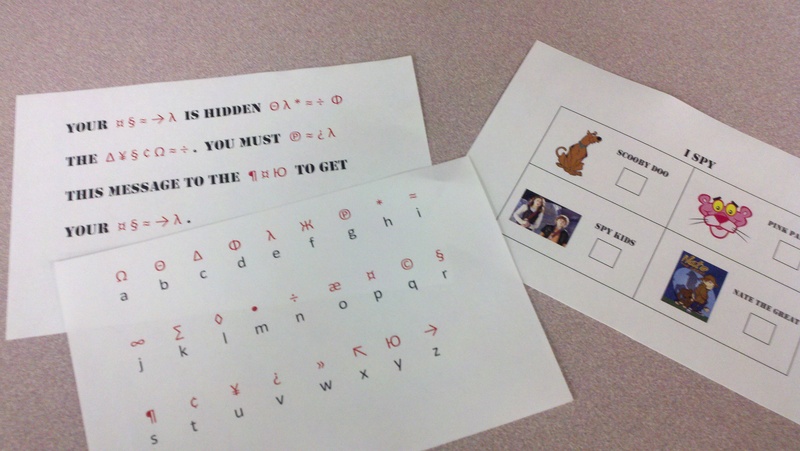 For this station, I made a simple I SPY game for the younger kids and a secret coded message for the older kids. The younger kids had to find certain mystery characters that were hidden around the room. The older kids had to crack the code. Both were able to claim their prize (little baggies full of candy) when they finished. This one wasn’t so much a station as it was a place for them to pick up a take-home craft. 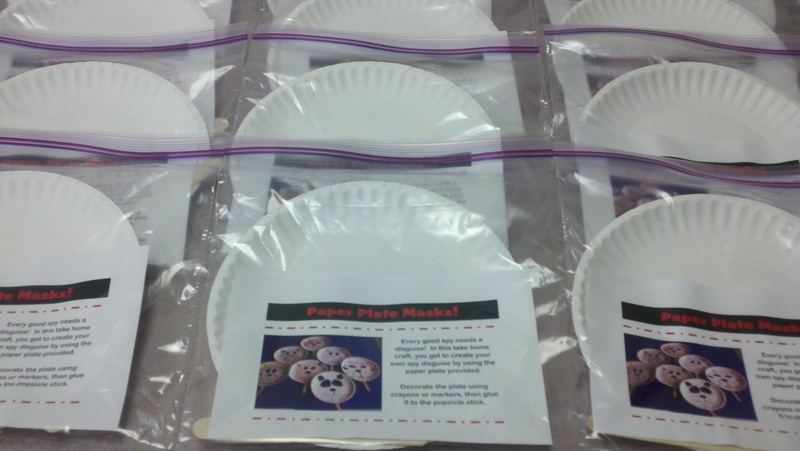 Originally I planned to have them make the craft — paper plate masks — there, but decided against it to save time and space. I still liked the idea of having a disguise station, so I put the materials in gallon sized bags and made it a take-home craft. I could not have asked for a better program! We had 114 attendees, and everything went smoothly. I had one coworker at each station (except the take-home craft station), plus a greeter. Children and parents both seemed to really enjoy all the stations, and for the rest of the week, I had patrons come up to me in the library to thank me for spy camp (and, in some cases, ask me when we’ll do it again!). This. Is. Awesome. Thanks for sharing! You’re welcome! Glad you like it! Thanks for sharing! I love it all! Thank you! It was a very fun program to do. So cool! I really like the variety of activities and the different skill levels accommodated. BTW, I just figured out that you’ve prolly replied to my comments, but I haven’t ever clicked the “track replies” box so I’ve never gotten them. No worries. I’m very hit and miss when it comes to replying to my comments these days, so I may not have even replied to some. Also, I’m not sure if I was ever notified if you ever replied to one of my comments on your travel blog.